Since last Winter I've been paying a lot more attention to my hair since going back to curls. One thing is protecting the hair with wig/braids when it needs a rest and the obvious protection. I made a half wig, around this time last year and I've kept using it throughout the past year when my hair needed it. The company the hair came from was The Virgin Hair Company*, the company says that it's not the highest quality of hair but it's affordable hair for those who can't afford to buy expensive hair. With the 3 packets of hair I was given 18, 20 & 24 - Grade A Virgin Indian Body Wave Remy Hair in #2, with that I decided to make a half wig. Upon taking it out of the plastic bag, it reeked of that 'new plastic scent' so I washed it and left it to air dry before starting to make this new half wig. I prefer to do wigs as I've found the hair lasts longer, I'm not wearing it all year round it lasts a fair bit longer than if I was to glue / sew in. Even though this hair is cheaper and This hair can be straightened out, curled and washed back to it's natural state. I don't put any product in the hair, the texture of the hair, it's not silky baby hair soft but it's manageable, since I've had this hair, I've not dealt with any excess shedding, it tangles a bit when washing, I'm not sure cos it's quite long, I don't like the way it feels while being washed but once it begins to dry and fall back into it's natural state, the condition is fine. I wouldn't say this hair is the purest of pure virgin, considering I've got virgin hair before. The company itself says the hair is Grade A hair, your not paying the price for hair that is Grade AA and Grade AAA & they never claim their hair is the best on the market but they are giving you hair they feel is the best within the price range they offer. It's very heavy so I'm careful where I place the clips, don't want to ruin my hair or break it with a heavy piece. Seeing as I coloured my hair, I wanted to just give it a little rest for a while so protective styling it is, I will just braid my hair and leave some out at the top, which that doesn't bother me I just wanted the majority to be rested. 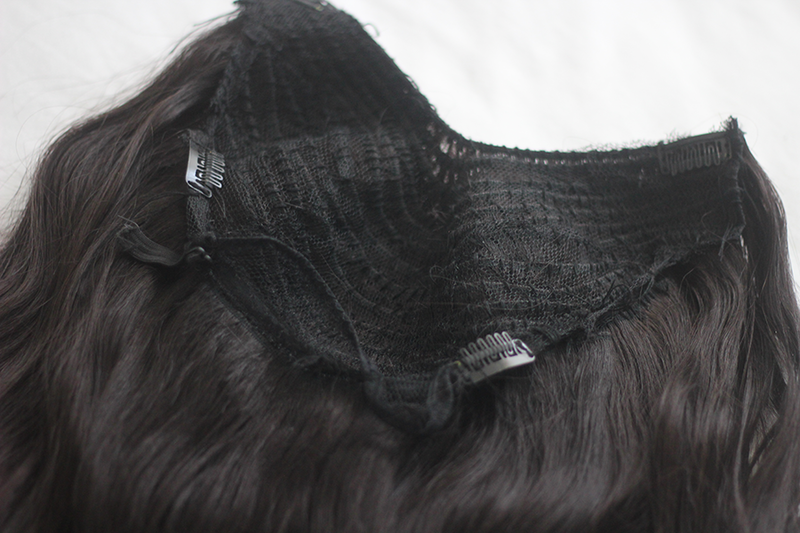 At night I'll braid the other pieces and wrap my hair after clipping the wig off. I've had this hair now for just over a year and it's still going, considering you get a 3 packets of hair in the chosen lengths above for £154 it's definitely a lot more affordable than other companies. I'm currently whipping my Indian hair - in my head, my neck is sore and for trips out this neck needs the strength for this thick bundle. 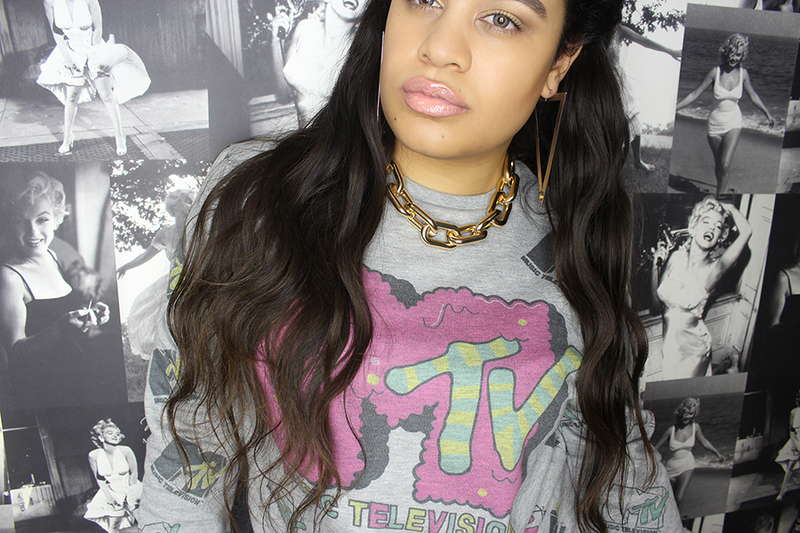 Have you tried The Virgin Hair Company before? I noticed this company a while ago on Facebook and was "umm"ing and "ahh"ing as I'd heard horror stories with this hair. However It's cool of them to come out and say that it's not the best. At least they are honest! To be honest I would probably buy this too because I'd rather die then pay £400+ on HAIR. NAWL. P.S. You look so beautiful in above pic and I need that jumper!!! Now I heard things about the company before 2012 as in the hair shedded a great deal & the wefts were terrible but I then read updates that the company did change suppliers, so I guess I got after the new suppliers. Yeah hair is VERY expensive. This is why I prefer to do wigs the hair lasts longer haha.